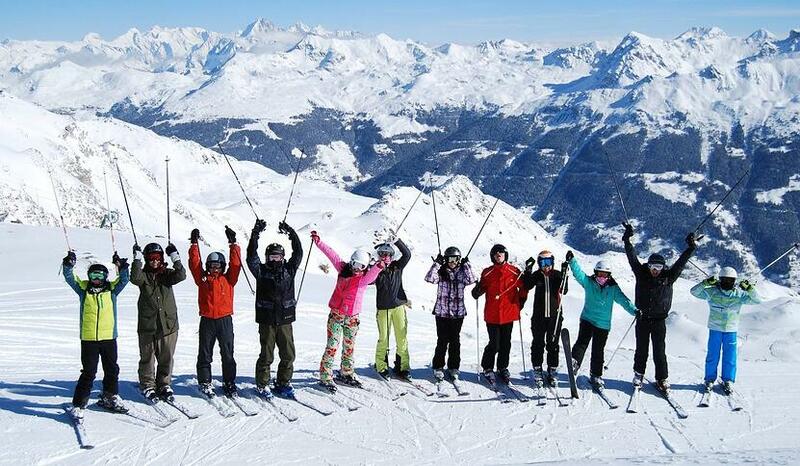 Ski Week is a favorite annual tradition at Brillantmont International School. 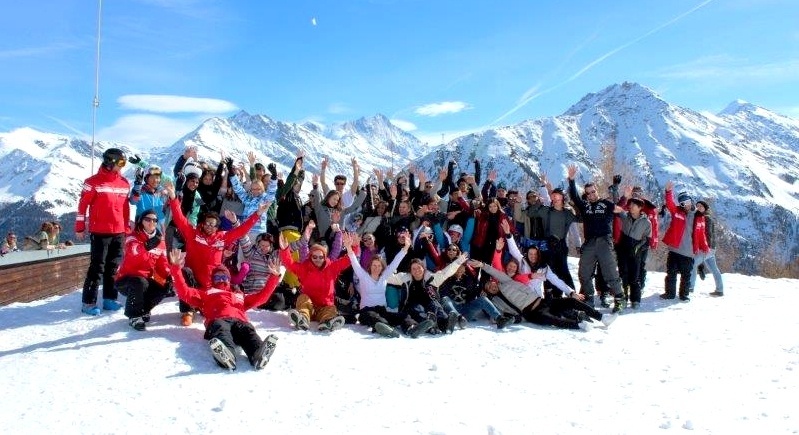 Every year, students take a whole week out of their term to travel into the breathtaking Swiss Alps, stay at a beautiful hotel, and ski or snowboard all week! 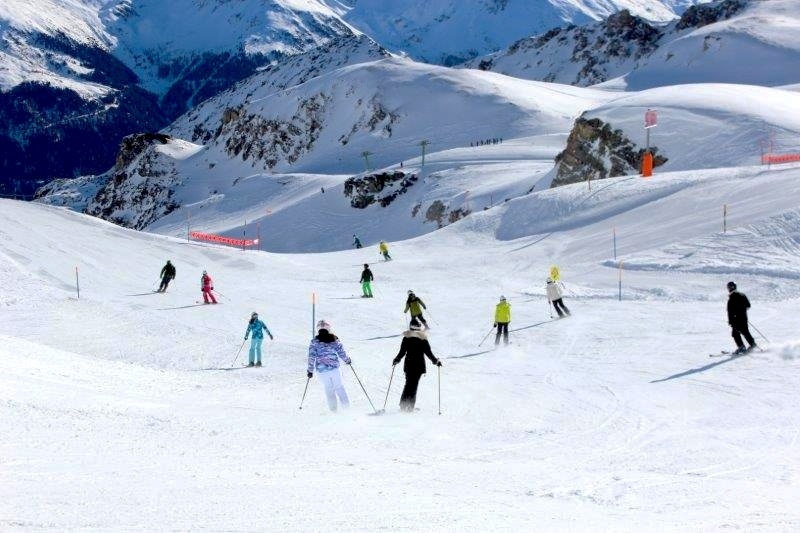 Whether you are a beginner or advanced skier, this week will further develop your skills in the snow and is guaranteed to be packed with fun. This year’s trip was another great success. The students had a blast on the mountain and they are already talking about going back again next year. Below are some comments on the experience from two students, one from Mexico and one from Brazil. For Leonardo from Brazil, the Ski Week this year in Zinal was his first time seeing snow, let alone skiing. This is also his first year at boarding school in Switzerland; Leonardo has never lived outside of his home country before. “I had never snowboarded or skied before, so I thought I was going to fall all the time and get frustrated, especially when I chose snowboarding, which people think is the hardest to learn,” he said. Zinal is a very small town with just one street in the Val d’Anniviers in the southern Swiss Alps. Unlike some of the large, touristy resort towns like Zermatt, Zinal has a more intimate feel. The students and staff stay in a wonderful hotel right next to the ski lifts. The experience of having mountains surround you on all sides is a memorable one. Leonard told us a bit about the ups and downs of learning to snowboard for the first time: “In the first few days, I was falling all the time, but with the help of the instructors at the Ecole Suisse de Ski, who did a spectacular job, I learned the sport from zero to doing red slopes easily.” Leonardo was thrilled by his progress and said he even tried a difficulty rated black slope towards the end of the week, albeit slowly. Check out this great video from last year’s adventures. Aside from skiing and snowboarding, students also enjoyed slalom competition! Why go to Boarding School in Switzerland this Winter?